"Africa’s social prosperity and landscape’s resilience"
The NGP 2019 Meeting and Encounter will take place in Maputo, from 18 to 20 November, followed by a four days field visit to Zambézia Province, in Mozambique, being co-hosted by Portucel Moçambique (part of The Navigator Company), and WWF. Building on the 2018 Uganda study tour ‘Plantations for Africa’s prosperity’, this year’s Encounter will be dedicated to further understanding how landscapes approaches and communities development can evolve hand-in-hand, using innovative perspectives, collaborative processes and social engagement tools in order to support a better and more sustainable business for everyone involved. Investing in African greenfield plantation forestry has been described as like “going on a difficult journey without a map”. 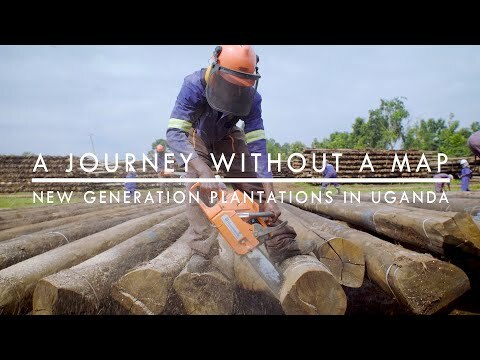 As NGP highlighted in its Documentary, Africa is already facing a timber deficit, and, as its remaining forests are becoming increasingly degraded, plantations can bring people living in these landscapes the hope for a better future. There are significant challenges to establishing financially and socially viable plantations, at scale, but, encouragingly, a diverse range of people are working to overcome these challenges, such as in the Portucel Moçambique’s project which we’ll be visiting in the NGP 2019 Encounter. African plantation forestry will only be successful if is inclusive, supported and recognized as a shared valued and sustained approach by its wide groups of stakeholders. This Encounter will bring many of them together - join us, and share your knowledge and experience in the movement towards Africa’s social prosperity and landscape’s resilience.